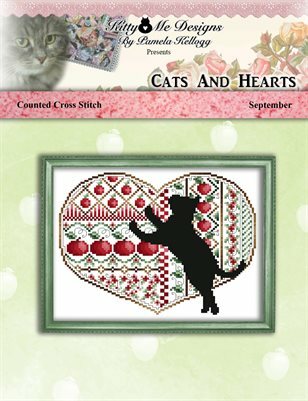 9th in the Cats And Hearts Cross Stitch pattern series, this is the September design. An early Autumn geometric heart filled with apples is the background for a little black cat. Large print, easy to read black/white symbol charts with colored backstitching lines.